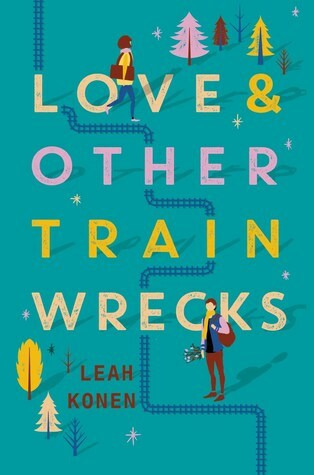 A twenty-four-hour romance about two teens who meet — and perhaps change their minds about love — on a train ride to Upstate New York in the middle of a snowstorm. Ammy doesn’t believe in true love — her parents being prime examples. She’s escaping from a mom who can’t take care of her to a dad who may not even want her. That is, until one winter night when Noah and Ammy find themselves in the same Amtrak car heading to Upstate New York. After a train-wreck first encounter between the two of them, the Amtrak train suddenly breaks down due to a snowstorm. Desperate to make it to their destinations, Noah and Ammy have no other option but to travel together. What starts off as a minor detour turns into the whirlwind journey of a lifetime, and over the course of the night they fall in love. But come morning their adventure takes an unexpected turn for the worst. Can one night can really change how they feel about love… and the course of their lives forever?